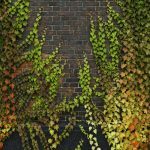 Growing vines in the landscape is a great way to take advantage of vertical space and increase appeal, especially in areas with little or no space. They can be used to add privacy, hide unsightly views, create shade and more. Keep in mind, however, that most types of vines require some type of support system. Climbing vines add interest to just about any landscape. They’re available in a variety of forms, textures and colors. Many of them will even delight you with beautiful flowers or fruit. Vines can be incorporated into nearly any garden style using supports such as fences, trellises, arbors, etc. They can even be grown in containers wherever space is limited, adding height and dimension to these areas. The type of vine you grow often determines the type of structure used to support it. For instance, those with suckers prefer to grow along walls, while those with tendrils do well twining along fences, trellises, and the like. Some of the most common flowering vines include Dutchman’s pipe, Cross vine, Clematis, Climbing hydrangea, Honeysuckle, Passion flower, and Wisteria. Dutchman’s pipe is a twining vine suitable for shady areas. It produces white to brownish purple, pipe-shaped blooms in spring. Cross vine has to semi- leaves and produces unusual coppery orange flowers. Clematis is a showy twining vine that enjoys sun to partial shade. There are many varieties to choose from, which include numerous colors. Climbing hydrangea uses its root-like structures to climb along posts or tree trunks. This beautiful vine adds bright color to shade with its white blooms, which are also offset by the dark green foliage. Honeysuckle is a popular twining vine for attracting butterflies to the landscape. Planted in sun to partial shade, flowers range in color from magenta to red and orange. 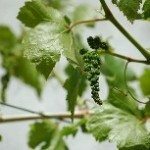 In warmer climates, this vine is considered an . Passion flower vine features exotic-looking purplish blooms and the leaves are semi-evergreen too, depending on the variety and where it’s grown. This vine works well in areas where its flowers can be appreciated. 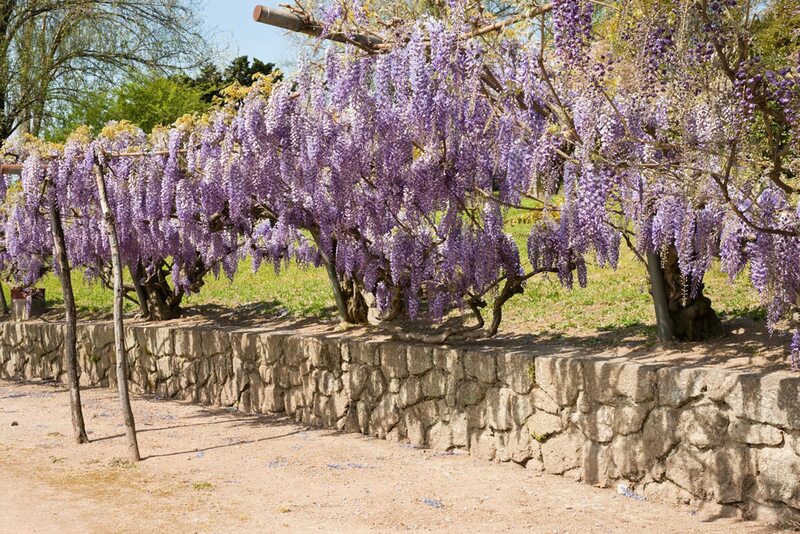 Wisteria requires sturdy support and plenty of room. While it’s fragrant, lavender blooms can be a sight to behold, without adequate pruning, this vine can quickly get out of hand. Some vines are also grown for their interesting foliage color and berries. Some of these include Bittersweet, Porcelain vine, Virginia creeper, Wintercreeper, and Ivy. Bittersweet is a fast growing vine that produces bright orange or yellow berries in the fall. Porcelain vine produces showy cream, blue, or purple multi-colored berries in late summer. Virginia creeper provides exceptional leaf color, changing from bronze green to dark green and then red or burgundy. Wintercreeper “Purpurea” changes its leaf color from green to purple. 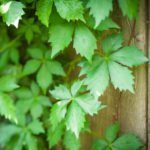 Ivy is an ever-popular vine used for ground cover but can also provide interesting foliage color. For example, the leaves of Boston ivy turn from dark green to bright yellow, orange, or scarlet.